As always, affiliate links included for your convenience in this review. 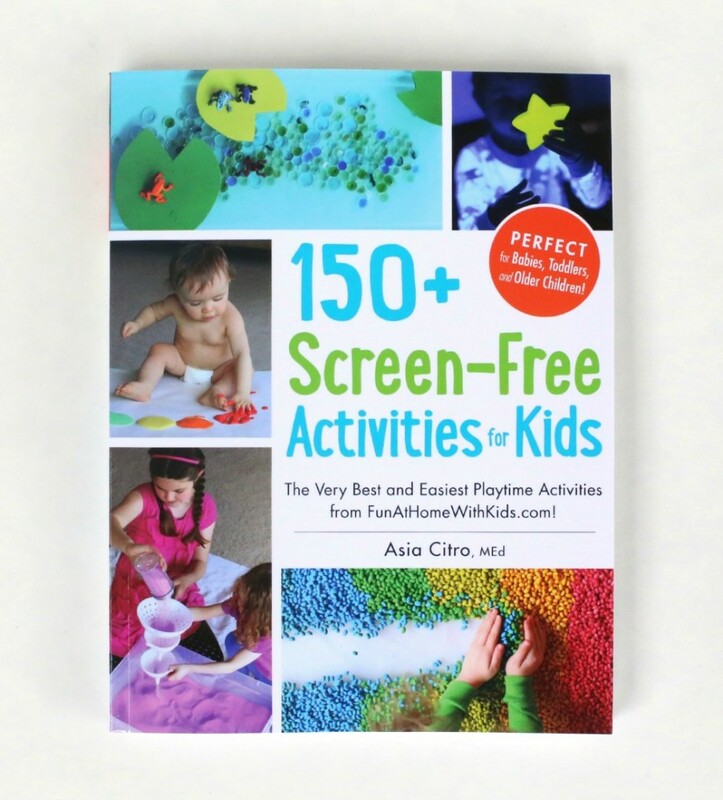 A few months ago, I had the chance to preview and help proofread a beautiful new book from my friend Asia (from FunatHomewithKids.com) called 150+ Screen-Free Activities for Kids. The truth of the matter is that I contributed little to the writing process. However, by reading and re-reading every line of the book, I feel like it’s fair to say I have a pretty good feel for the book! And, in my expert opinion, the book is ah-mazing! For starters, Asia has an incredible eye for color. I honestly believe she sees colors differently and with more detail than the average person. You may notice this when you flip the book and see the pictures. They’re gorgeous! Since Asia is a scientist by nature, all of the ideas in her book have been tried, tested, and perfected. 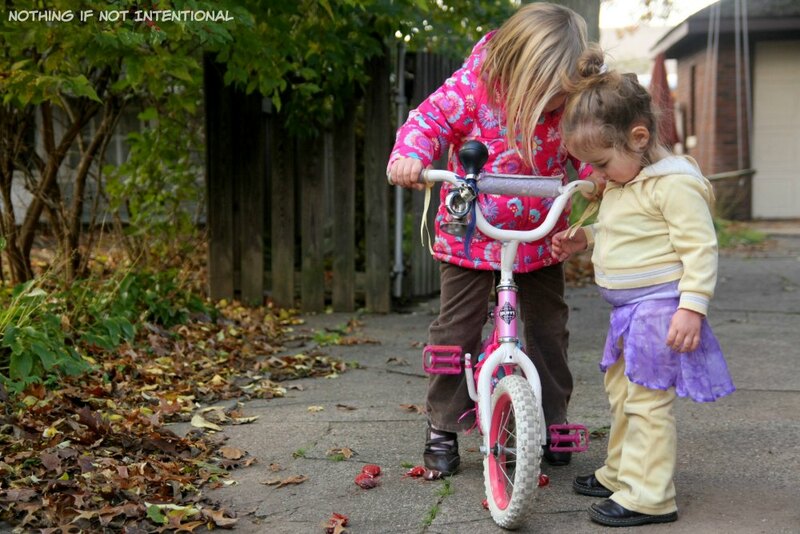 The finished result is easy enough that moms without a science background (such as yours truly) can make them work with little or no frustration. For the sake of this post, I settled on a simple play activity that was new to me: scented baked cotton balls! Scented baked cotton balls?! What a crazy idea! But Asia’s instructions were easy enough to follow that not even I could mess it up! The resulting activity was a hit with both my two-year-old and my four-year-old. Our only complaint was that they made our house smell like baked pumpkin pie, yet we couldn’t eat the finished product! While the cotton balls were baking, my preschooler came out of her room in search of whatever it was that smelled “so yummy”! My four-year-old helped me mix the ingredients for the baked cotton balls, which created a bit of mess. 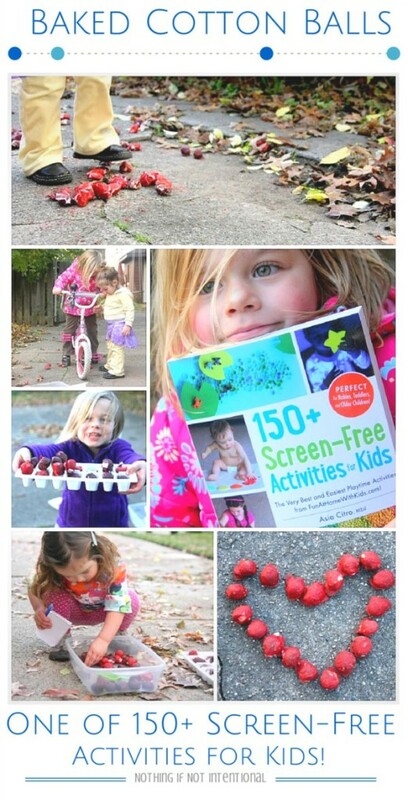 But the introduction to 150+ Screen-Free Activities for Kids gives great tips on how to prepare for and cleanup messy activities. 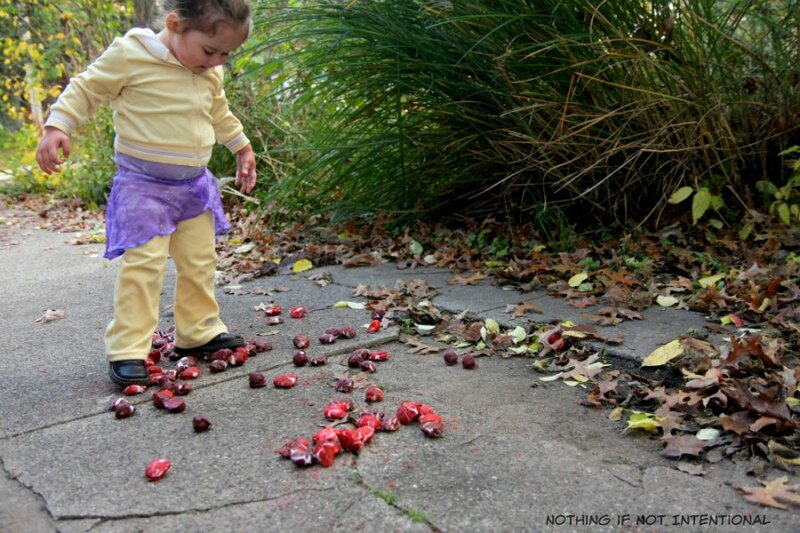 And, since the ingredients were all harmless, I didn’t mind that my kiddo got her hands dirty! After we had played with the cotton balls for a few days, my girls decided they’d be fun to smash. And run over with a bicycle. The crunching sound was so satisfying. I love their creative destruction! 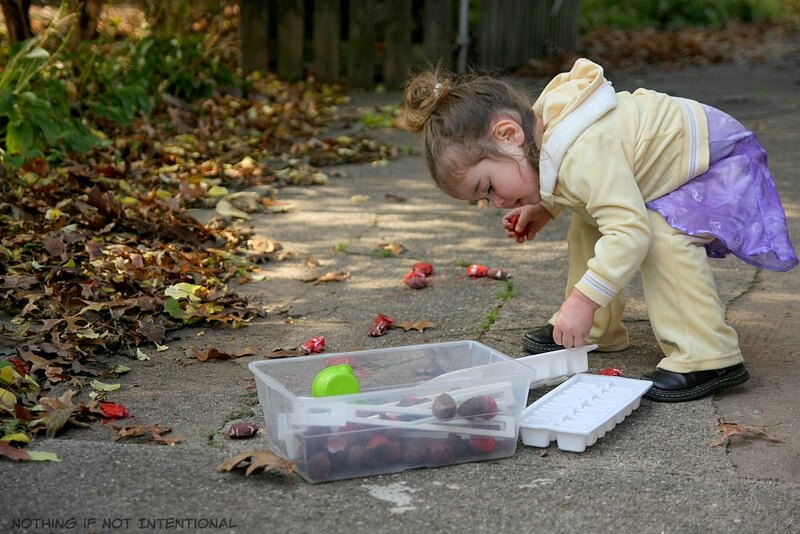 A lot of the recipes are taste-safe, which means that even babies can play! This would be a fabulous gift idea for baby showers or Christmas! Add a few additional supplies to go along with the book, and you can make/give a complete sensory kit (see details HERE) for kids of all ages! Because I’m confident you’ll love the activities in this book, I’m ending this post with a giveaway. 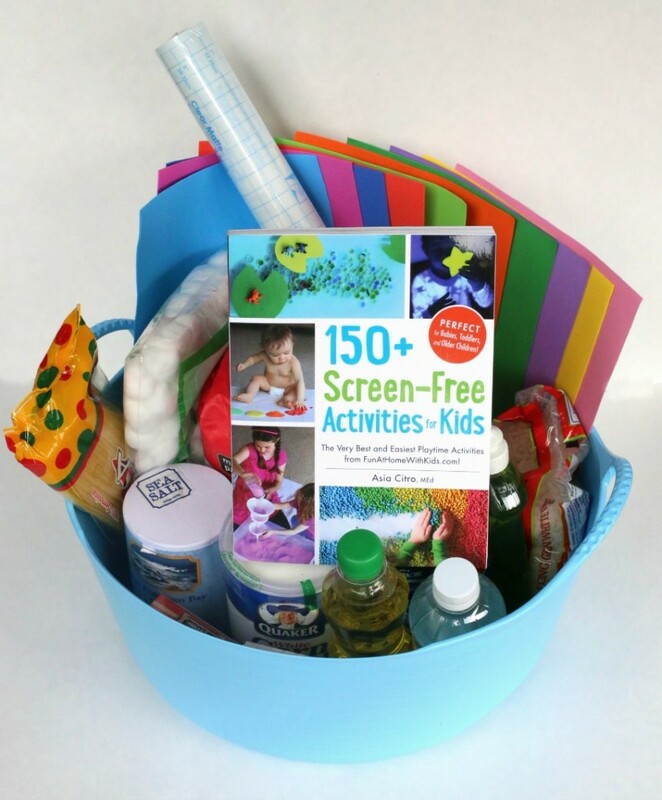 Use the rafflecopter widget below for a chance to WIN an awesome gift from 150+ Screen-Free Activities for Kids: The Very Best and Easiest Playtime Activities from FunAtHomeWithKids.com! Don’t forget you can buy a copy of the book HERE. I hope you love it as much as I do! Thanks for visiting! 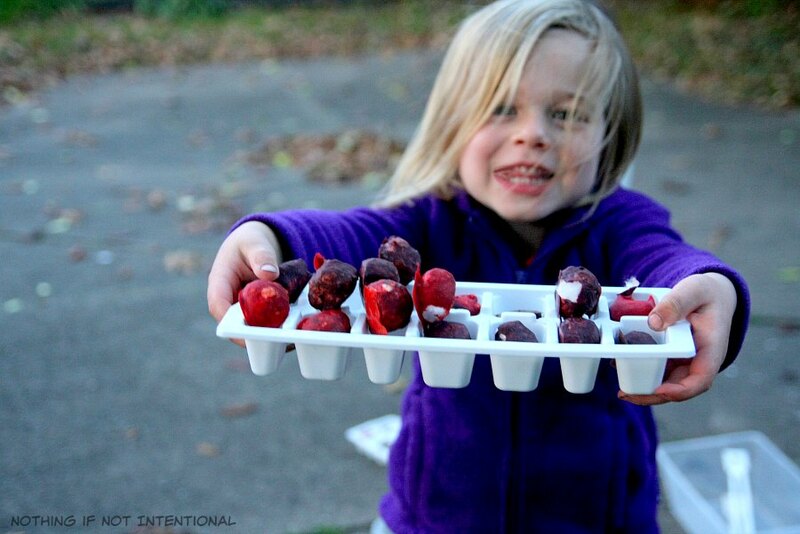 For travel tips, kid-friendly recipes, and oh-so-simple kids’ activities, follow Nothing if Not Intentional on pinterest! 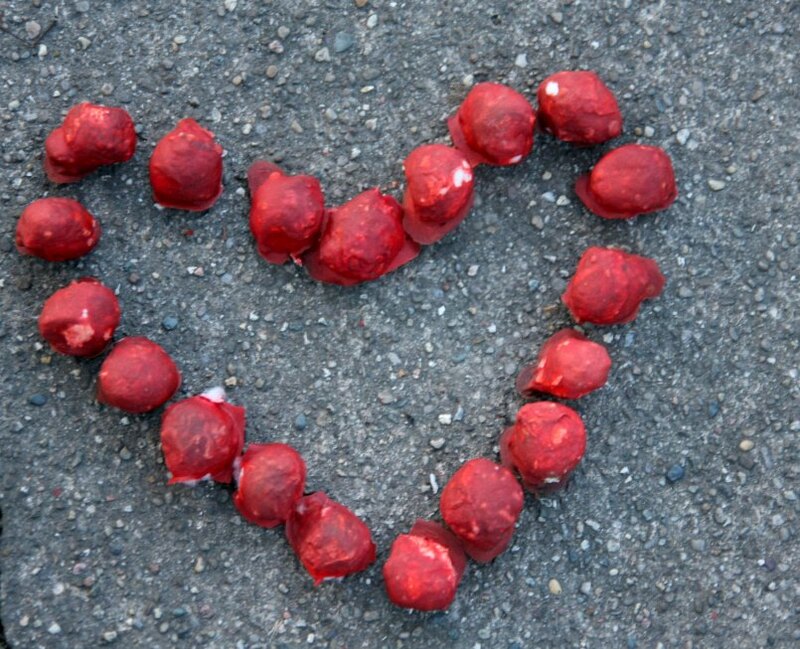 Follow Rachael at Nothing if Not Intentional’s board Nothing if Not Intentional Blog on Pinterest.